Looking to save on great appliances? 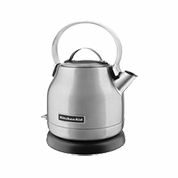 KitchenAid offers promotions on both large and small kitchen essentials so you can get top quality for less. 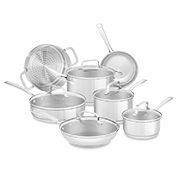 • Earn prepaid Visa®cards or KitchenAid merchandise to complete your cookware collection. • Check rebate status so you know when to expect your reward. Check back soon for new countertop appliance offers! By mail with purchase of a select KitchenAid®Appliances*. Offer valid for purchases between 1/3/2018 - 7/18/2018. *Not valid for purchases at Sears, Lowe's, Best Buy and The Home Depot. Qualifying models listed on rebate form. Offer valid for registrations completed 6/1/2017 - 5/31/2018 or while supplies last.